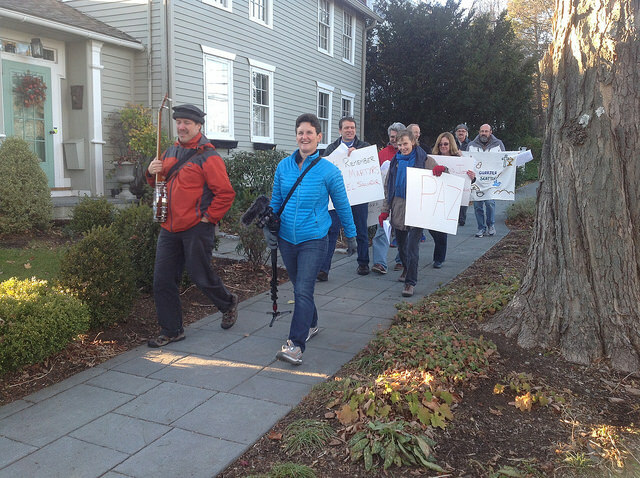 Sister Parish Board of Directors walks with members of Trinity Episcopal – 2014. The Solidarity Walk is one of Sister Parish’s core fundraising events, organized every year in coordination with participating US churches. The efforts of the US Sister Parish committees enable us to continue strengthening our work for solidarity in communities in El Salvador and Guatemala. The Sister Parish committees in Chalatenango, El Salvador celebrated their first Solidarity Walk in 2011 to both thank their northern partners for these beautiful gestures of love and friendship and to stand in solidarity with the northern communities in their own struggles. For the 2014 Solidarity Walk, the El Salvador Directiva (advisory board) chose the organizing theme, “To Give Is To Share In Building A Better World.” The Salvadoran communities wanted to reflect on the importance of sharing on both local and international levels, as we remember and honor the many years of relationships between Sister Parish linkage partners. We share the pictures of our Solidarity Walk in San José La Montaña and the video below. The weekend after the El Salvador Solidarity Walk, the Sister Parish Board of Directors met in Newtown, CT at Trinity Episcopal, San José La Montaña’s partner church. 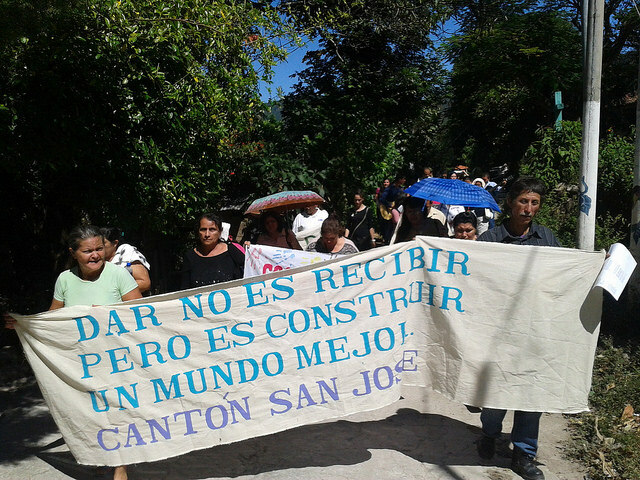 That weekend, members walked in solidarity with San José La Montaña and with all Sister Parish linkages. Trinity was happy to be working with its sister community and it was a special time of strengthening the bond between Sister Parish and its newest northern community. This entry was posted in El Salvador, General, Solidarity Walks, United States and tagged guarjila, los ranchos, potrerillos, san josé la montaña, solidarity walk, trinity. Bookmark the permalink.